Despite the great degree of connectedness we enjoy these days, making music is a solitary pursuit for many of us, and so there is a lot to be said for learning to be your own biggest critic (and biggest fan). But having access to like-minded music-makers who not only understand where you’re trying to go but can also help you get there – this is probably the most valuable production tool you can hope to have. Our latest video feature, Team Supreme: Strength in Numbers,profiles a crew of young beat-makers who have harnessed the power of the collective for the benefit of all its members. The documentary tracks Team Supreme’s rise to prominence on the LA beat scene and beyond through their weekly Beat Cypher mixtapes. Part play and part practise, the Beat Cyphers now number more than 130 installments and include mixes guest curated by DJ Shadow, Daedalus, and Soulection, among others. Browsing through past Cyphers on YouTube and Soundcloud, you can hear the crew member’s production skills develop in front of your very ears. Both the challenge and the fun factor are high when the rules push the participants out of their comfort zones by making them use odd meters, construct EDM-style build-ups, produce breakbeat and footwork beats, or freestyle over their own beats. Crucially, the atmosphere of friendly competition fostered by the Beat Cyphers is coupled with the Team’s willingness to teach and learn from each other. And it’s the balance of these two factors that have trained each member’s all-important ‘muscle of follow-through’ as they now proceeded to establish their individual identities as producers. 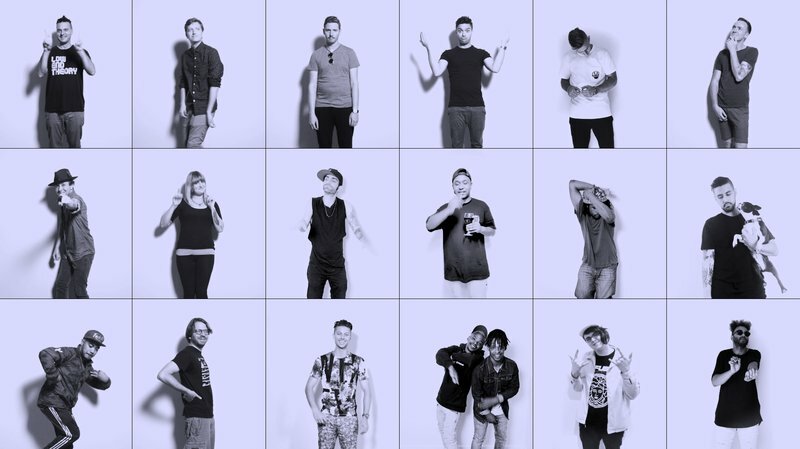 Unlike other collectives Team Supreme doesn't have one uniform sound, each member has her or his unique style. Watch the short video portraits of three up-and-coming Team Supreme artists, all with distinct musical styles and approaches of their own. Stay in touch with Team Supreme via Facebook and Twitter.